Synergic is back with a new release on Multiplex Records, Germany. Forgotten Rituals is a tribute to the early days of progressive psytrance when acts like Klangstrahler Projekt and Haldolium burst onto the scene with their special sound. 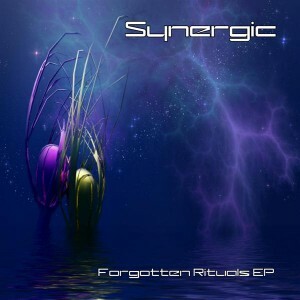 Synergic transforms the magic moments of a bygone era with modern production techniques and their own personal style. The result is pure progressive psytrance that lets you travel back to the basics to celebrate a forgotten ritual. Mastered by Torgen Eismann with artwork by Ali Ries. MP3 Download | FLAC Download | WAV Download · Download count: 5,889. We thank you very much for your attention ! With a small amount of your time you would help us so much and do a big favour for us. Contest is running till the end of april !! ::::::(=’ :’):::::WOW:: Super Album, einfach genial !! Ein wirklich sehr gut gelungenes Werk – alle Daumen hoch. Чумовая вещь! Вообще полёт! -полный улёт в сам рай!Практически живая левитация! Эта вещь сам сон наяву! Отрывает от земли! Очень понравилась музыка! СУПЕР! Ladies and gentleman can i have your attention please. We are ready for take off, so please esteem with your cigarettes and fasten your seatbelts.